Call: 020 8367 2295 | FREEPHONE: 0800 876 6277 | MOB: 07805 420 222Your local drain specialists covering London and the surrounding areas. PlumbJet specialise in clearing and repairing all types of blocked drains with quality, industry accredited, high pressure water jetting equipment, providing you with a fast, efficient cost effective method of solving your issues. PlumbJet are specialists in CCTV drain inspections and surveys. We use the latest CCTV equipment to diagnose drain problems, locate blockages and isolate sections of pipes and drains that require unblocking, cleaning or repairs. Our commercial drain maintenance services cover London and the surrounding areas. We serve office and warehouse facilities, property developments, hotels and restaurants, retail and leisure facilties. PlumbJet are your local London drain specialists offering a complete range of drainage services including drain relining and repairs, vacuum tankers and hydro excavation services. PlumbJet (London) Ltd offers all types of domestic and commercial drainage services at genuinely low prices, our experienced teams are experts in dealing with all types of drain blockages, handling anything from waste pipes to main drains, all works are completed to the highest standard regardless of size and we assure you of our best attention at all times. Responsive Services: Once we have received your instruction PlumbJet will dispatch one of our specially equipped vans with the latest drain jetting machinery and CCTV technology, accompanied by a highly trained engineer to ensure your problem is dealt with in the most efficient and professional manner possible. Drain Surveys & Investigative Drain Services: CCTV equipment allows us to carry out a detailed inspection (followed by a report) of a drain or pipe system to identify any problems. 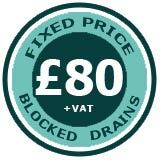 We can also undertake planned preventative drain maintenance contracts to minimise future call-outs. Had a straight forward conversation on the phone and confirmed the £80 fixed price on his website. Oliver turned up at the time agreed and sorted out the problem efficiently in about 40 mins. His approach was polite and friendly, and he explained what he was doing. I will certainly use him again and am happy to recommend him to anyone.